A source close to the reality couple told HollywoodLife that the cute little baby will be in the press very soon, but not before the parents secure a million dollar payday for the first photos. Blac Chyna and Rob Kardashian’s baby is about to get paid six figures before her first tooth grows in. 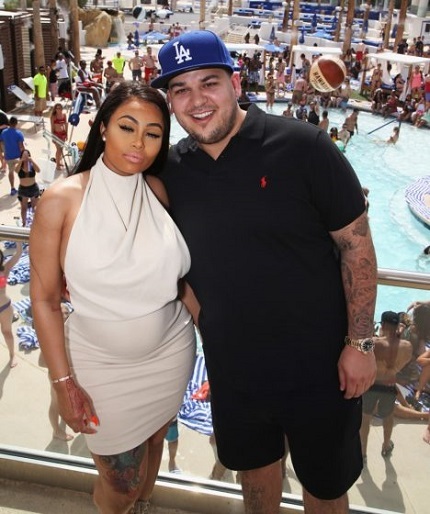 “Chyna and Rob are working hard behind the scenes trying to secure a million dollar deal for the first pictures of their daughter,” “Chyna’s leading the negotiating and is going with the highest bidder.”..
“She knows the world can’t wait to see what the new Kardashian baby looks like. But in order for that to happen,” the source added, “Chyna’s looking for a huge payday! She and Rob definitely want to capitalize on the financial opportunity.” And get this: they’re not going to frivolously spend the fortune. They’re going to put that money “straight into an account for their girl, so that she can have a ridiculously stupid nest egg to use once she turns 21.” The source told HollywoodLife.